A short update today. Unfortunately it’s decided to rain for the whole week so I’ve not been able to paint any further. Also, I’m needing to pick up some more paint as I realized this is going to take just a bit more than I thought. 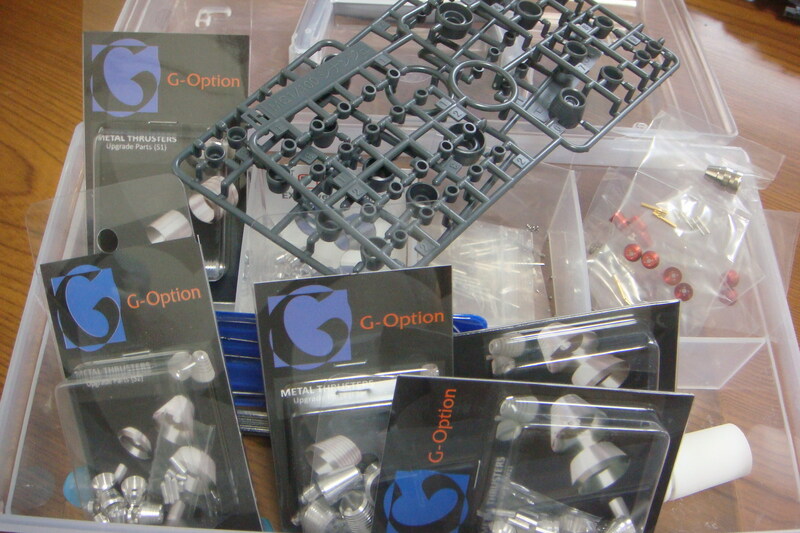 On top of that, I need to wait for the replacement parts to arrive. Or so I thought! I made my order for replacement parts, and dropped it in the mail Wednesday morning. Well, guess what was waiting for me today when I got home! That’s amazing turn around time right there. Bandai claims 1-3 weeks needed for arrival, but I got it in 2 days. Unbelievable. They may whore out kits and steal our money with rehashes, but damned if they don’t have great service! I picked up two spares of the waist, along with extra booster tanks and booster armor for testing some colors out. 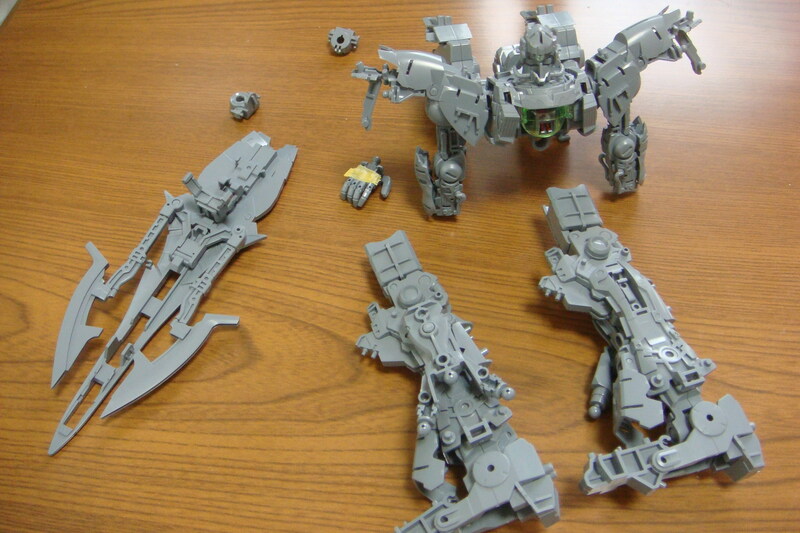 So hopefully will be able to completely finish the inner frame this weekend! 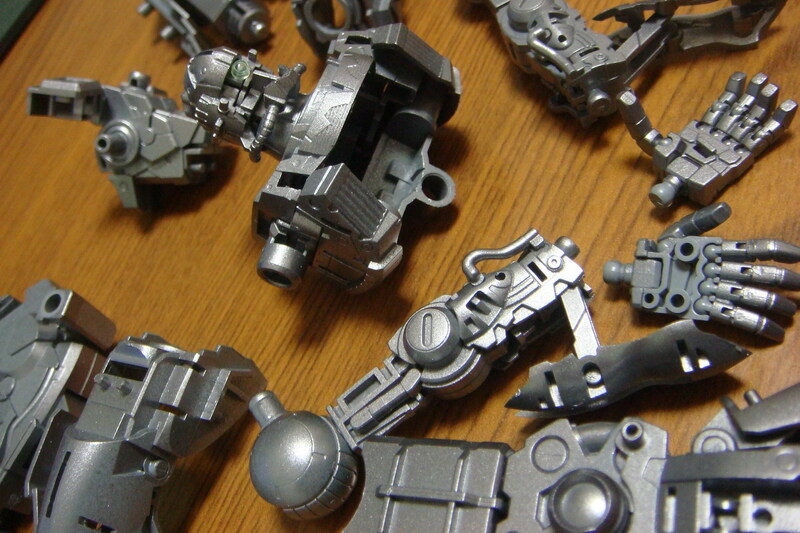 From there, I’ve gone ahead and painted the internal frame, the color for this is Light Gun Metal. The color came out much better than expected, and looks pretty damn good. I managed to get most of the parts sprayed, but it turns out that I’m going to have to pick up another can this week to finish it off. In the mean time, the plan over the week is to start masking the black parts for painting, as well as figuring out what AM boosters to use. 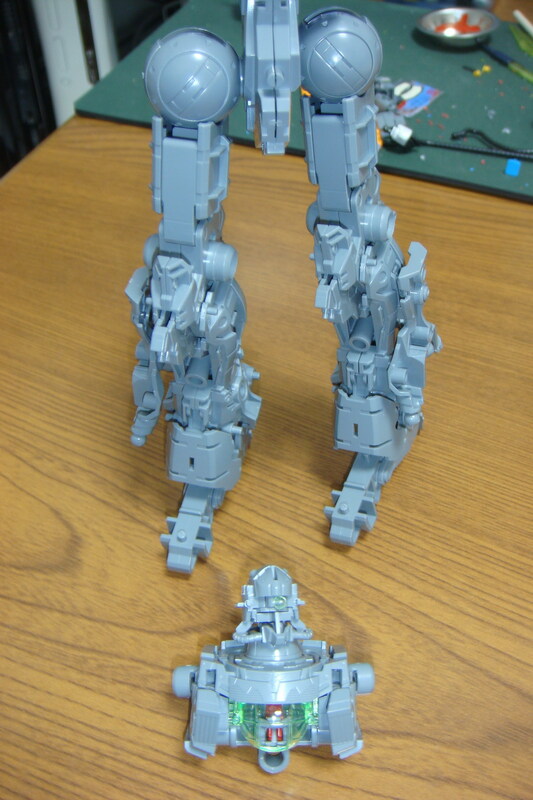 Looks like I’m going to have to pick up a few more as well to fit the back boosters maybe. This is going to be a bit more time intensive than I thought! 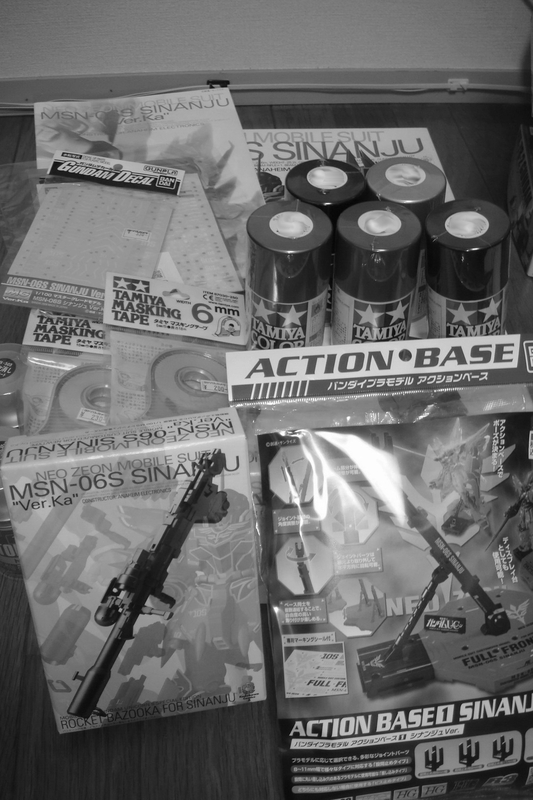 For those who may not be aware, thanks to an invite, I’ll be joining in the Sinanju group build that is being held by the model forum at Gundam Australia. You can check out the link here, and I’m sure they’d be open for more participants if people are interested. Participants include my several of my fellow Gunplars such as Lupes @ It’s a Gundaaaam, Busterbeam @ Plamo Addiction, Gundam Guy, Gaijin Gundam, as well as the forum administrator Sonar, otherwise known as frequent poster Tonzo, and other forum members. Anyways, on to the current plan! First off, my plan at this point is a straight build, but with a custom paint job. While I was originally planning on a blue theme, I’ve actually decided to go to a different color(s). 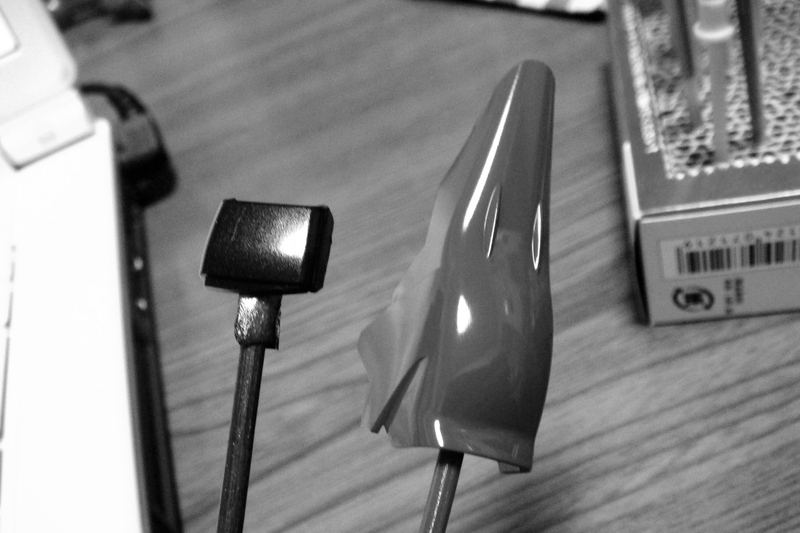 Taking a page from GaiGun, I’ve decided to go monochrome with the materials shot as to not reveal my color scheme just yet. For the time being I’ve got my plans for the internal frame, as well as outer frame. I’ve not thought ahead to the weapons, but we’ll cross that bridge when we get there. 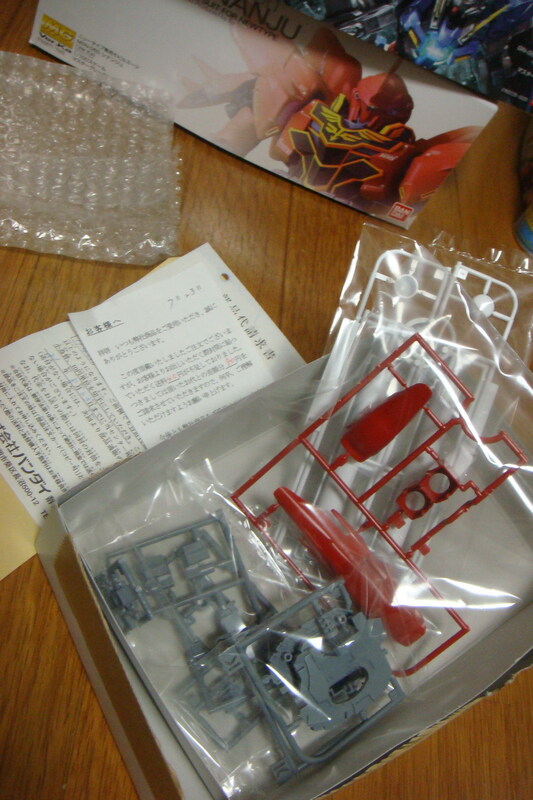 AM boosters will be used as well as the official Sinanju waterslides. As for the actual WiP, you’ve all seen the snap builds elsewhere, so I’m not really going to go in depth on that part. The current plan is to build the internal frame completely first, figure out what’s going to be visible, and paint the frame accordingly. The painting on the external frame will happen afterwards. 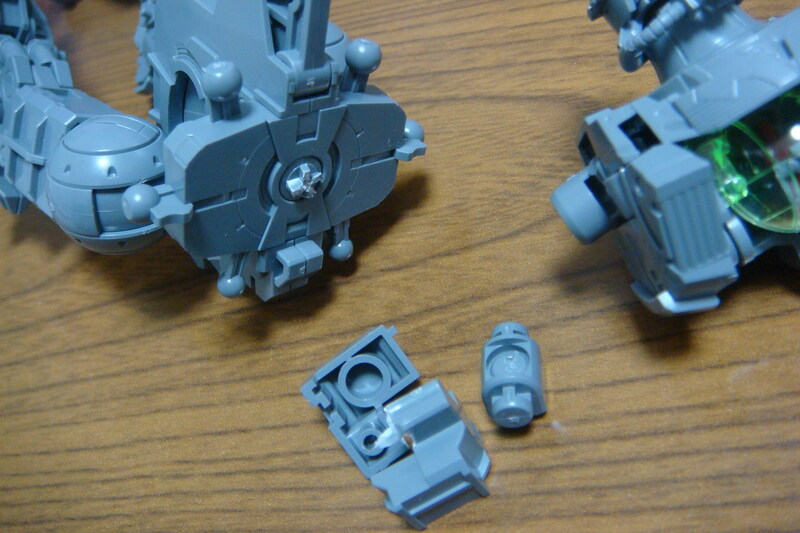 Anyways, I whirled through the torso and legs, only to have (amazingly enough) my first experience with parts breaking. And what broke? The F—ing waist! Posted in MG Sinanju, Mobile uploads.